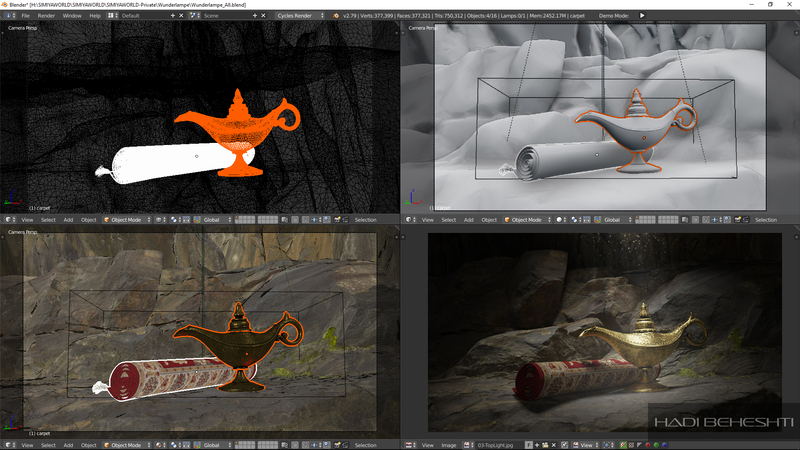 That is a fun project of mine . 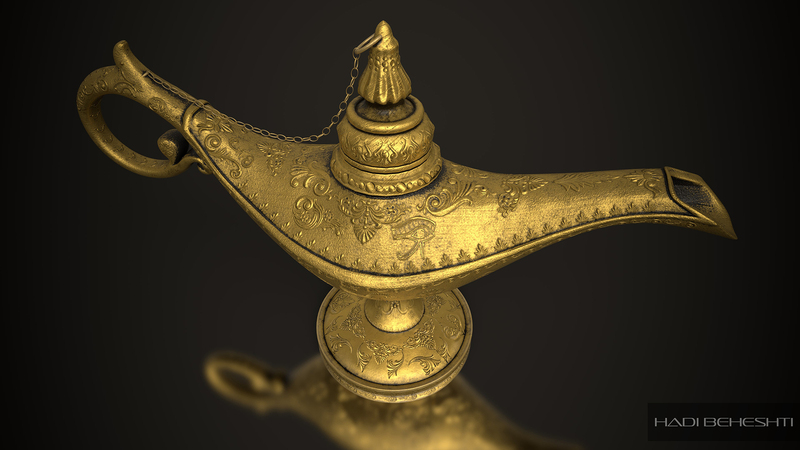 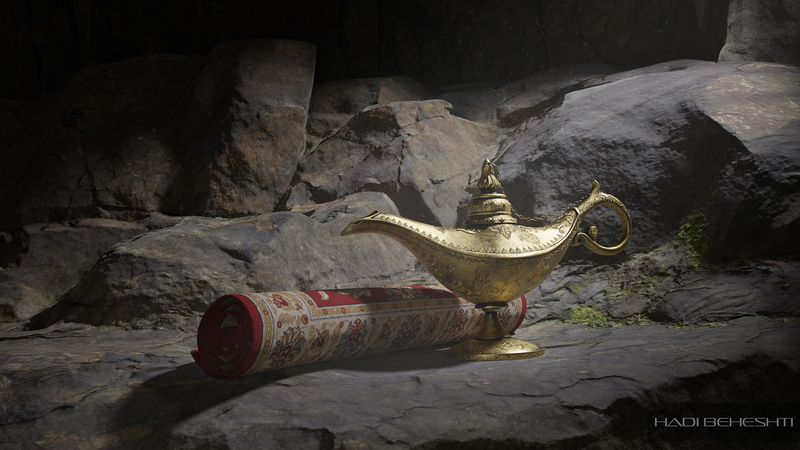 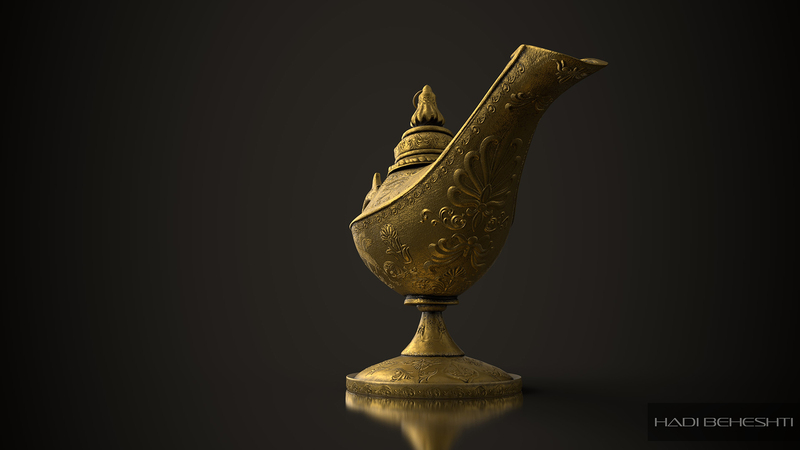 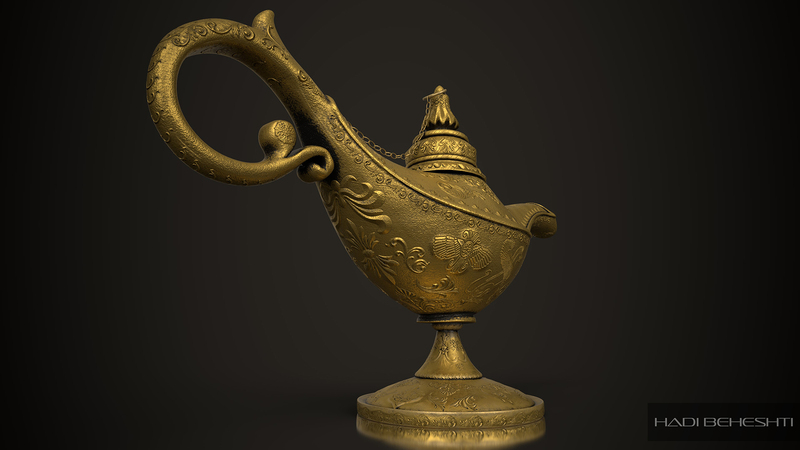 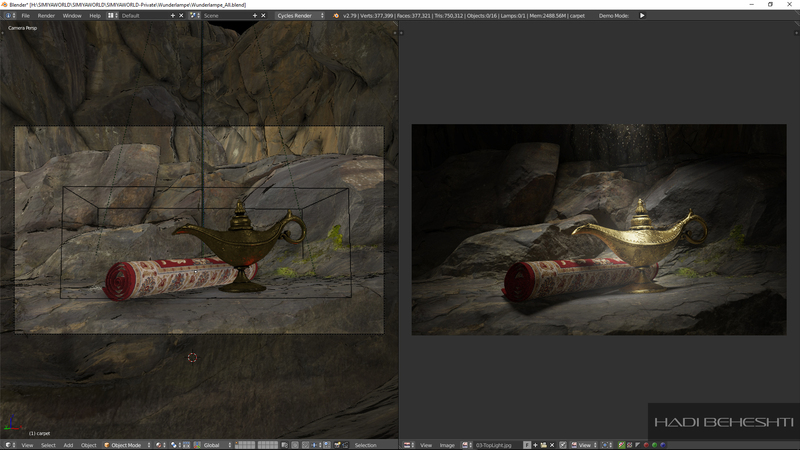 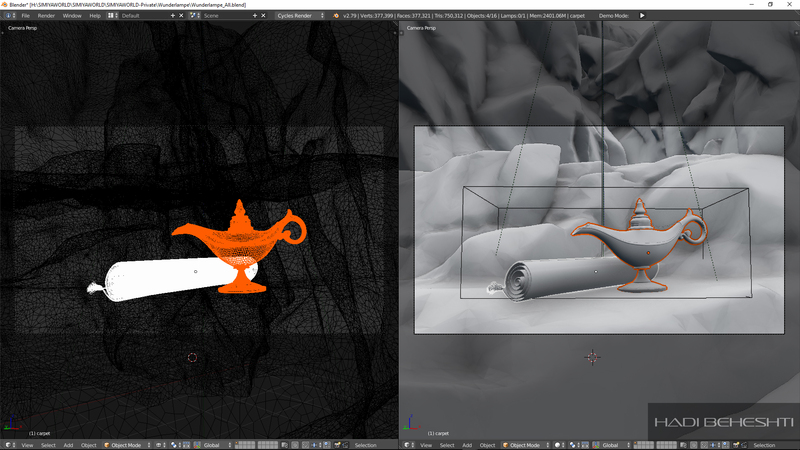 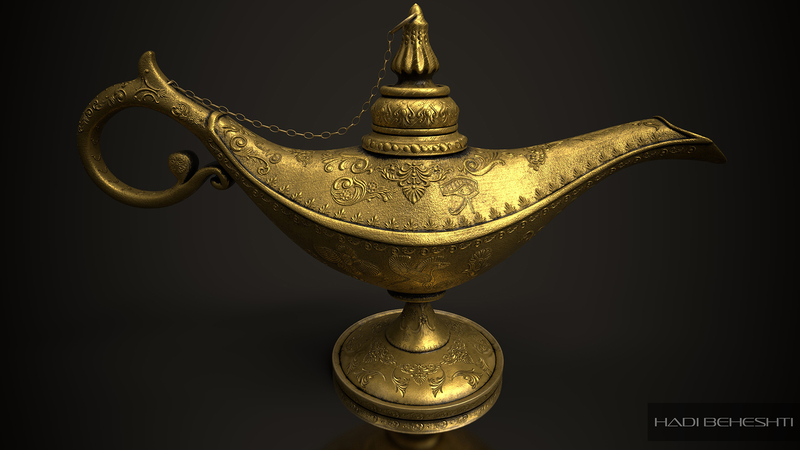 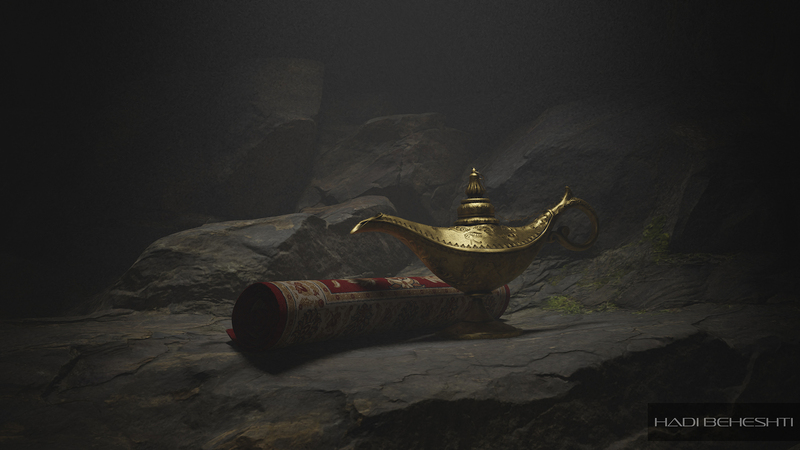 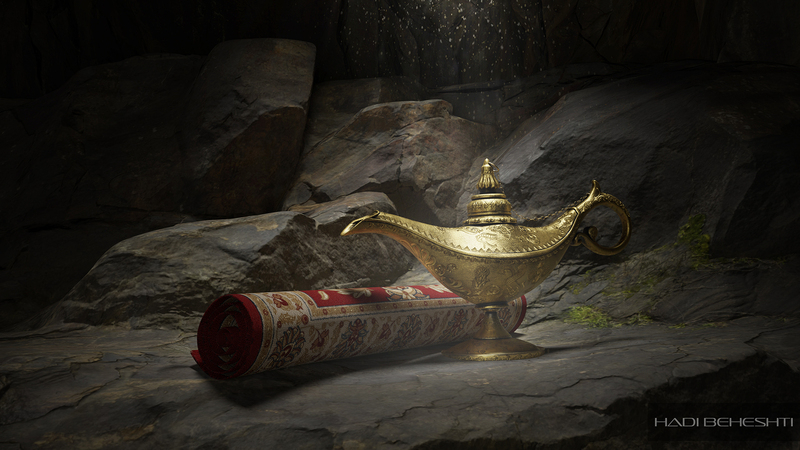 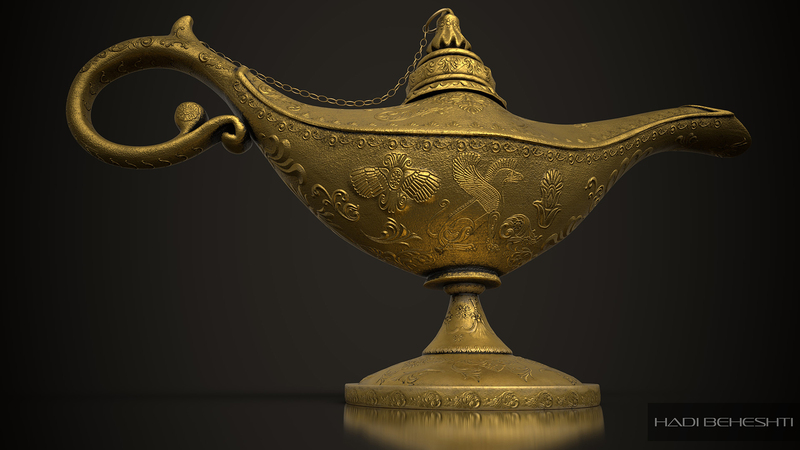 I’ve used Maya and Zbrush for modeling of my Magic lamp.For Textures of it I used Substance painter. 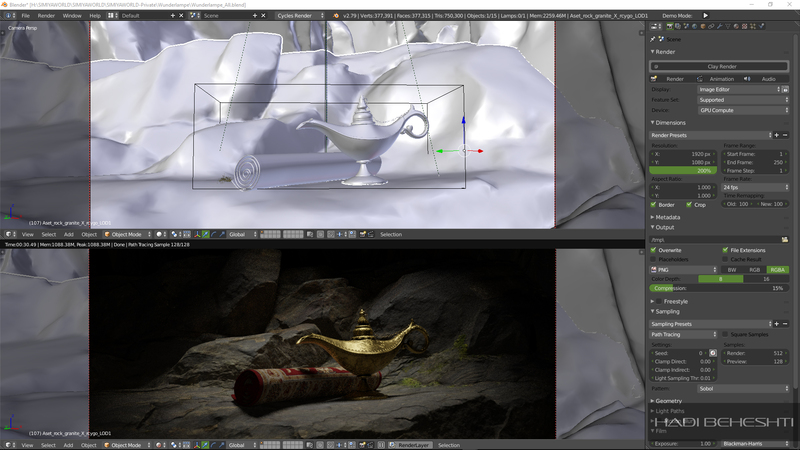 Lighting and Rendering Blender and Iray.